Aussie flu infections have decreased overall in the UK, but some areas have seen rises in cases over the past week, according to latest Public Health England figures. London and the Midlands both saw rises in flu infections in the week to January 28. GPs are still under pressure, the Royal College of GPs (RCGP) said. You could prevent infection by washing your hands regularly, and by avoiding large crowded spaces. “We have seen a decrease in the overall number of flu presentations in general practice across England which is good news, but it is only slight, and, in fact, London and the Midlands and East regions have seen increases in the past week. "General practice is still under considerable pressure as we deal with these flu presentations in our surgeries and this latest data shows we're still not out of winter pressures yet as the influenza virus can be very unpredictable,” said RCGP’s Vice Chair, Professor Kamila Hawthorne. “Patients who have the flu should get plenty of rest, keep warm and drink lots of fluids to avoid becoming dehydrated and if you're sick, it is best to stay at home rather than soldiering on as you risk getting worse and passing the flu on to others. 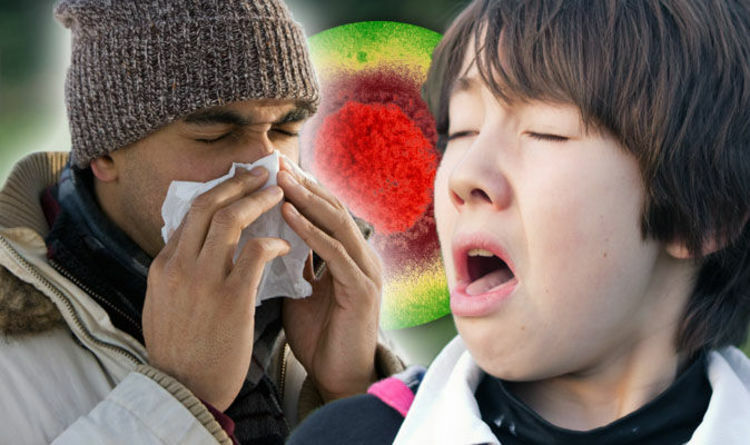 Aussie flu symptoms include headaches, runny noses, sore throats, vomiting, diarrhoea and fevers. The deadly H3N2 virus can lead to pneumonia in more serious cases. You could avoid infection by avoiding crowded public areas, including public transport. Eating a healthy diet and exercising could also give your immune system a boost, to help ward off the virus. Washing your hands with warm, soapy water regularly is crucial to fending off Aussie flu. The public are also advised to clean their office desks regularly, as germs are easily spread in a work environment. If you’ve already caught a flu virus, catch coughs and sneezes in a tissue, and immediately bin it. If no tissues are to hand, sneeze into your elbow instead of your hands, as other people are less likely to touch your arm than your hands.